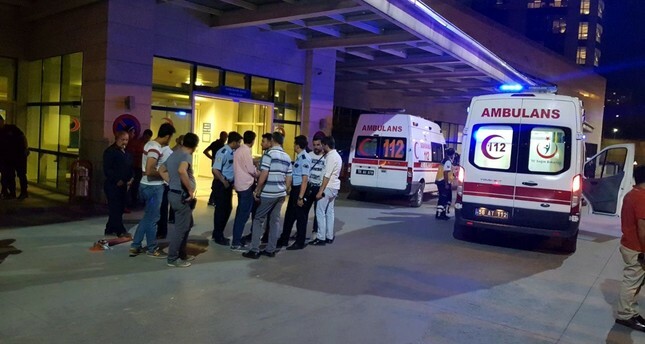 A group of PKK terrorists stormed a village in southeastern Turkey's Siirt province on Saturday night, killing a 65-year-old man while trying to kidnap his son. The incident took place in Kemerli village at around 09:30 p.m. local time, when terrorists entered the village and raided Mehmet Salih Aslan's house. They then kidnapped Aslan's son Ahmet, pointing a gun to his head. After the terrorists left the house and headed towards the village's exit for their escape, 65-year-old Aslan stepped in to save his son but was shot in the back of his neck by the terrorists. Scores of villagers came rushing towards the scene after hearing gun shots, which scared off the militants and made them leave Ahmet Aslan behind. Mehmet Aslan was transferred to Siirt State Hospital for treatment, but succumbed to his gunshot wound. A wide-scale operation has been launched in the region to capture the terrorists.